New York City failed to impress me at first. I had my first view of it at night, when it is supposed to be at its dazzling best. We came out of the Lincoln Tunnel and the city lay in front of me sparkling and twinkling against the backdrop of a velvety dark night. I felt as if I was entering into the bowels of an Urban Jungle. My first day in the city found me sitting on top of an open tourist bus, broiling in the heat as the bus slowly moved through Manhattan and all of its touristy spots. It was hot and it was crowded and the traffic was horrendous. I don’t think I enjoyed the sights too much either. The Empire state Building didn't look as majestic close up as it did from a distance. I refused to climb up. 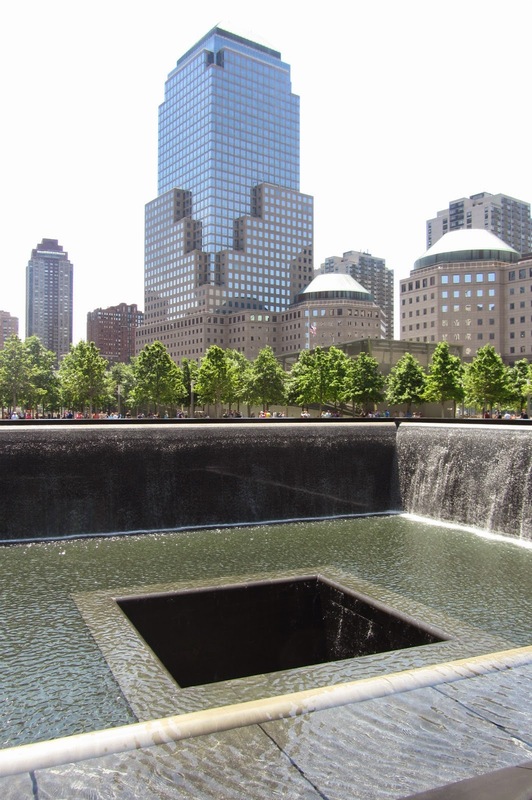 The 9/11 memorial had none of the sobriety I associated with it because of the hordes of noisy tourists there. But the worst was Times Square. 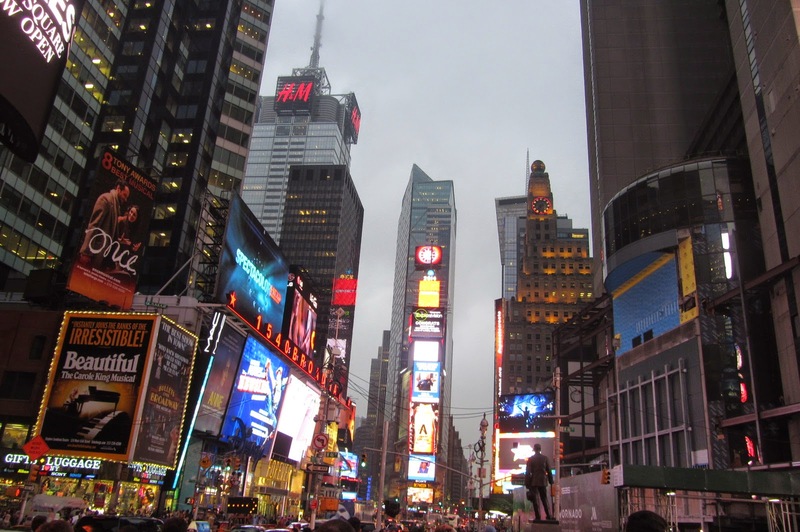 I am not fond of big crowds at any given point and Times Square was nothing but a huge over flowing river of humanity. The huge skyscrapers with adverts running on them simply hurt my eye. I found them rather garish. 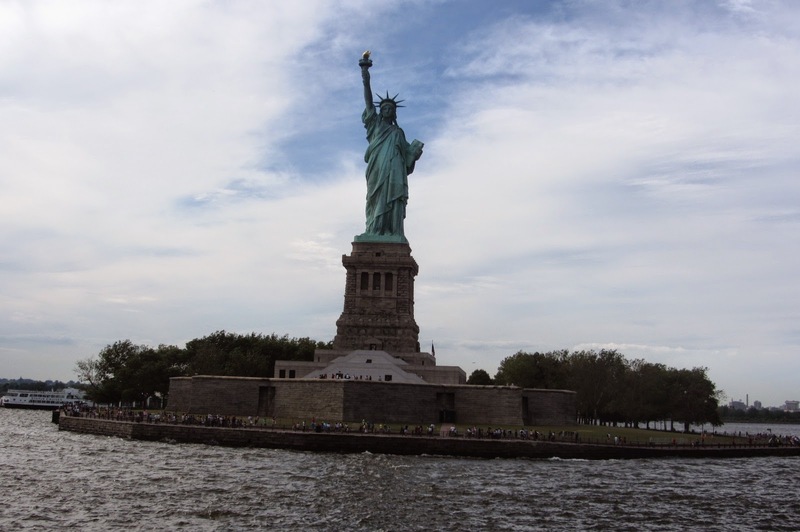 The only thing I enjoyed to some extent was the boat ride to the statue of liberty. The imposing statue in front with the Manhattan skyline behind us was rather nice. New York in summer is perhaps the best and the worst time to visit. The weather is perfect but thanks to the selfsame good weather, tourists descend on the city in droves, forcing even the hardened New Yorkers to hide inside their homes and only venture out to places less crowded. Fed up of the tourists I encountered everywhere (and conveniently forgetting that I was one myself) I decided to explore the city as a city should really be explored - on foot and with no particular destination or time schedule in mind. I decided to pick a neighborhood a day, any neighborhood, and just wander. 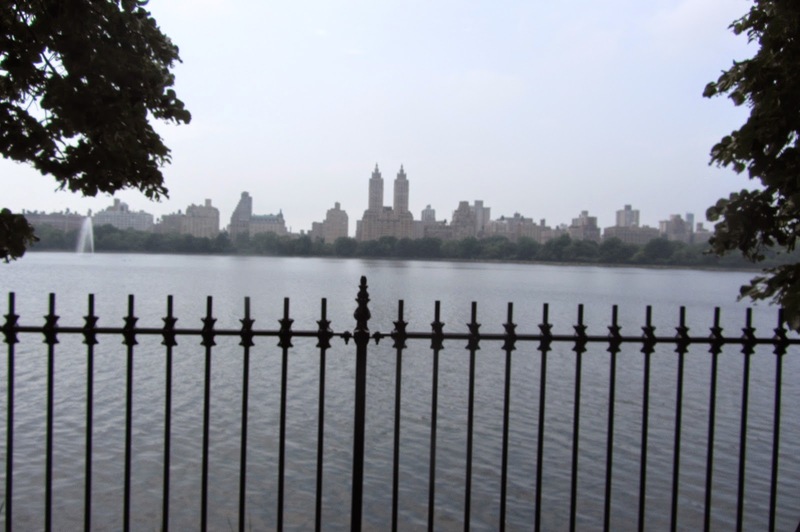 The next couple of days were a revelation, for I realized I was looking at New York all wrong. The city is not about tourist sites or sky scrapers. Frankly, after a while its physical and geographical aspects simply ceased to matter. For New York City is a way of life. It’s an experience. You need to live it, explore it, let the spirit of the place seep into you, feel its pulsating, vibrant heart. The few days that I spent wandering in the city, left me with a kaleidoscope of impressions, vivid and colorful. To discover New York you must walk. Walk in the shadow of the great glass and steel skyscrapers, with people rushing, jostling past you in their hurry to get to work. Heels clicking, briefcases dangling, smartly dressed. So much like Tokyo, with even the weather hot and humid one day and incessant rains the next. New York to me is Guggenheim with its intriguing structure and fabulous paintings. 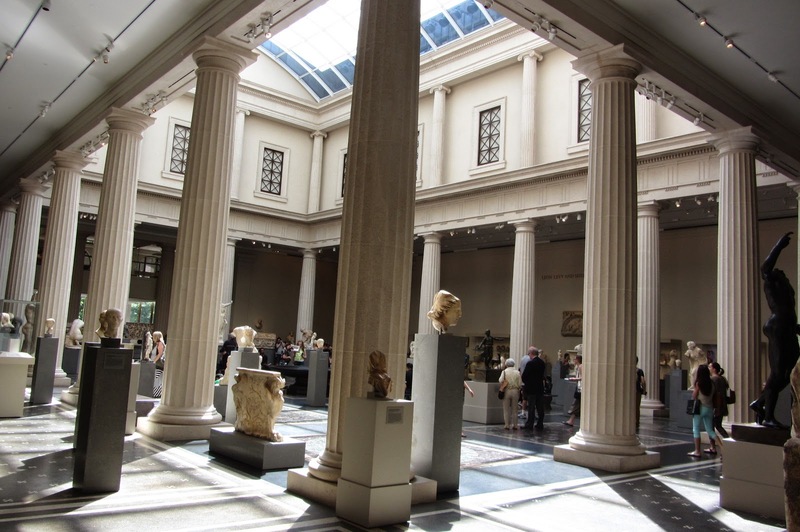 New York is the Metropolitan Museum of art where I wandered happily for hours and hours and hours and felt that no amount of time I spend in it is ever going to be enough. New York is standing in front of Tiffany’s and feeling a little like Audrey Hepburn did in Breakfast at Tiffany’s. New York City is also wandering the cobbled streets of SoHo, peering into quaint boutiques. Then walking a few blocks down to encounter rows after rows of glittering shops housing the best brands in the world. 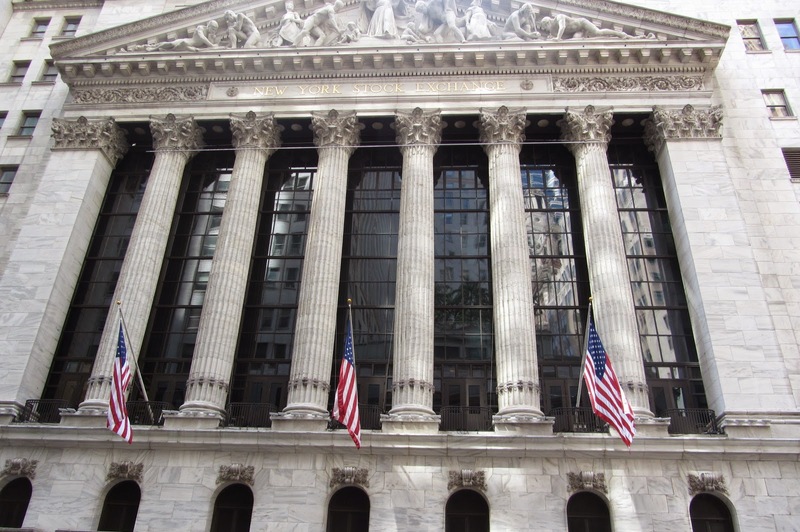 New York is also the Wall Street. The architecture here is different, old, historic. There is something shiny and brash about high-rises that doesn't appeal to me as much as dignified, staid beauty of old architecture. New York is the Bohemia of Greenwich Village, with cafes warm and inviting. Simply sit with a coffee in your hand and watch the world go by, or aimlessly stroll through old, tree shaded neighborhoods, turn a corner and discover that under the shadow of the high rises buildings like this still exist. 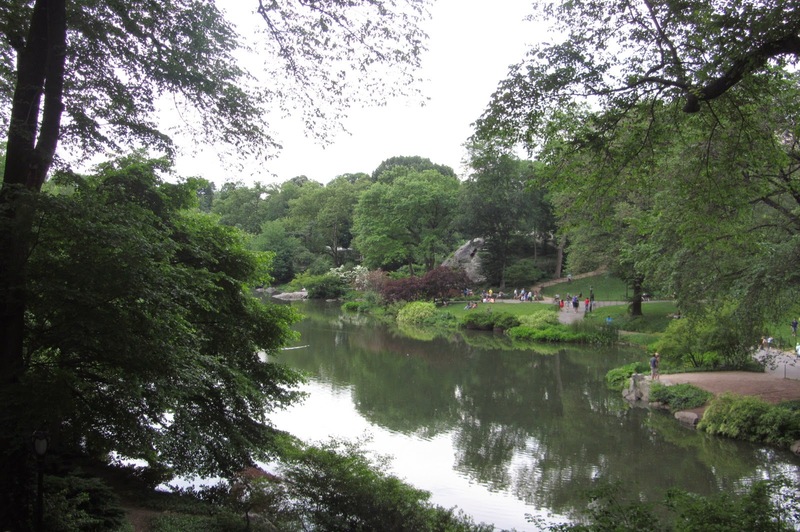 It’s about cutting through central park to reach your destination so that you can revel in the peace and greenery that you never thought could exist in the chaos and madness of New York. 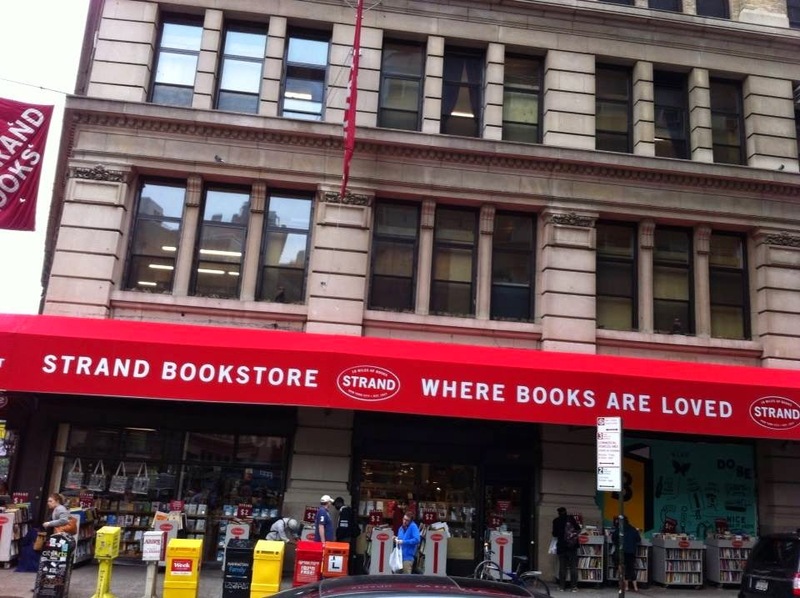 New York is also The Strand - the book shop that is the mecca for every self-respecting Book Lover. 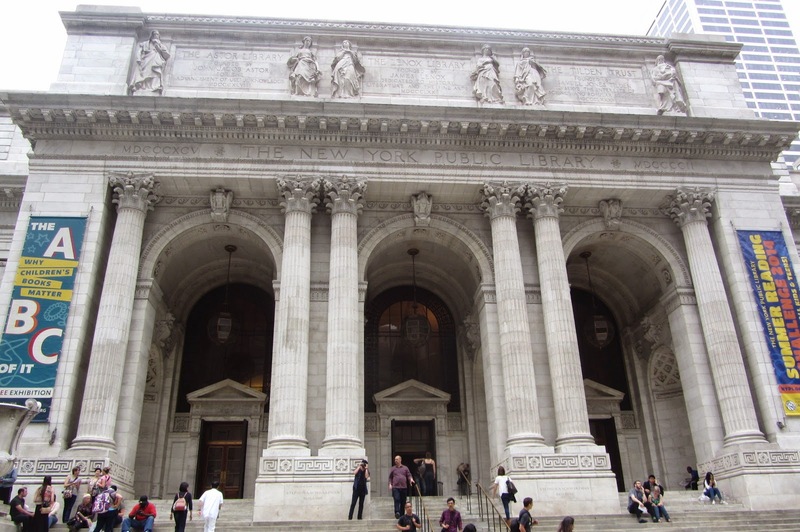 It’s about sitting on the wide sweeping steps of the New York Public Library, marveling at that magnificent building. This is how a library should be – majestic, solemn and filled with the best books ever. New York is Bryant Park, just behind the library with the little French Bakery nearby. I bought some delicious sandwiches there and sat eating them at one of the little tables set under the trees while I watched people battle out chess games at the next table. New York is jogging along the river, or skating or cycling or simply sitting in a river side café as you watch the sun set over the Hudson River. New York is the World’s finest restaurants and the happy knowledge that every conceivable cuisine is available to you within a few miles of where ever you are. Ethiopian to Japanese to Italian. 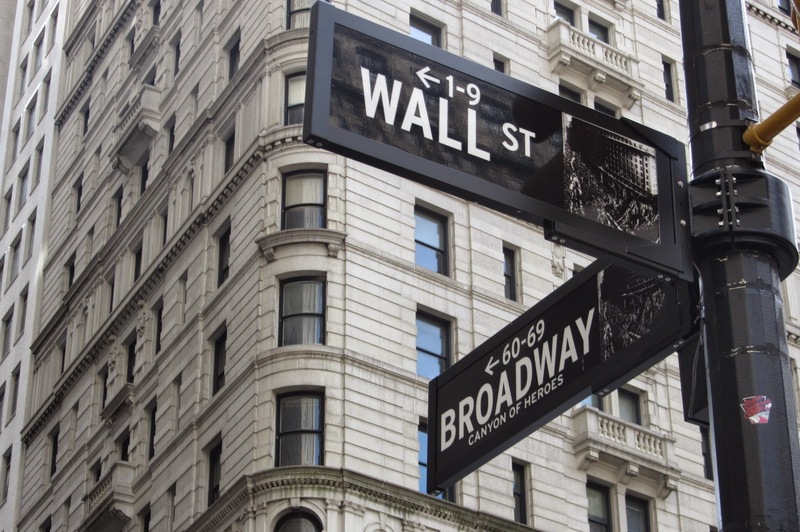 It is also about eating hot dogs from vendors on the road and eating the very famous New York Cheesecake and Bagels to see if they indeed are the best in the world as the New Yorkers claim. It’s biting into that slice of New York style Pizza bought at a shop that is just a garret like hole in the wall but sells the “Best pizza ever”. New York is stopping to listen to street musicians. It’s also about Broadway and musicals and summer night Jazz concerts. Nowhere except perhaps London have I ever seen a place so vibrant with art and music and culture. New York is also about its canary yellow cabs. As I discovered, catching a cab in Manhattan, especially on a rainy day is an art. No cab stops if you stand by the side of the road and wave demurely at it. You have to literally stand in the middle of the road and wave as if your life depends on it. And somehow my fondest memory of NYC is of a cab driver who instead of cursing the horrendous traffic would take out a book and read a page or two while he waited for the light to turn green. New York is the police and ambulance sirens that jolted me awake even on the 23rd floor of my cousin’s apartment. Stepping out in the tiny balcony in the dead of the night to look down at a city humming with activity. For this is truly a city that never sleeps. New York City is fast and manic and brash and competitive and unabashedly unapologetic about it. There is an undercurrent of energy here that compels you to move faster, think quickly, to be on your toes always. It’s a perfect place for people who want to do their own thing. This is a place that lets you be. It doesn't question, doesn't meddle and accepts you with all your idiosyncrasies and quirks. New York is one place where you can dream anything,do anything, become anything, if the city doesn't get to you first! Enjoyed ur take on NY! The joy of discovering a city to discover it the way u want and at ur own leisurely place rather than following the crowd. 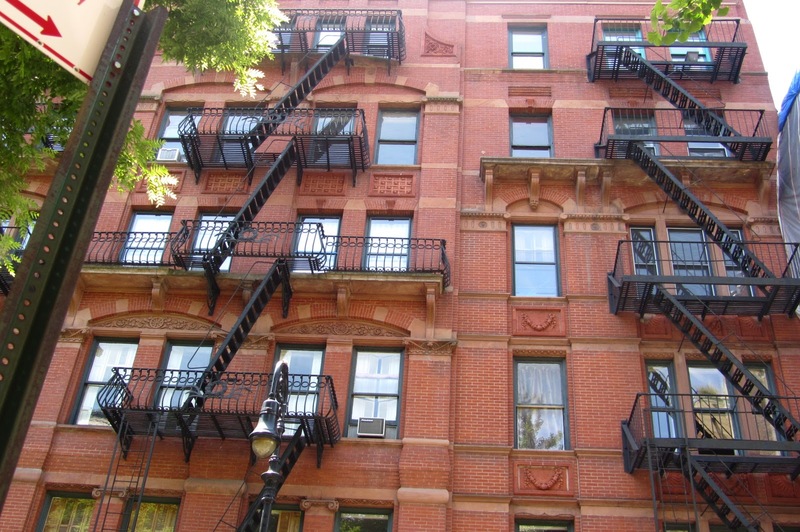 U know what, that pic of a residential building reminded of the closing scene in the movie Pretty Woman when Richard Gere climbs similar stairs to express his love to Julia Roberts! Thanks Shaivi. You know the building reminded me of exactly the same thing ! - Julai Roberts in Pretty Woman. And gues what I did see the original bldg where the scene was filmed in LA. Though my brother is in Chicago, I have not been to the US Ruch. Thank you for this virtual tour and tips on how to stop a cab! You must go Alka. Specially since now you know how to catch a cab ! New York for me is stylish, fast paced, congested and expensive :-). I didn't spend as much time exploring the city as you did. Museums are not my cup of tea. I did love Empire State, WTC towers and even Times Square back then. 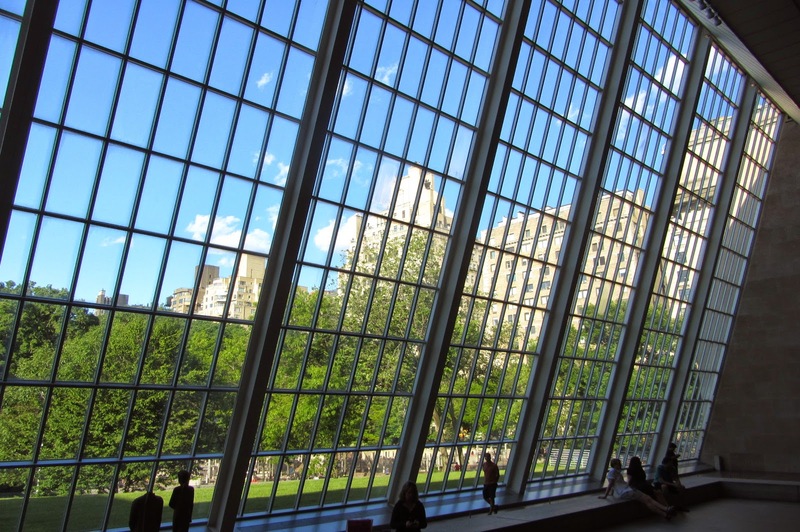 A comprehensive tour of the Big Apple, Ruch. Thanks .. I think I liked the ambiance more than the tourist sites ! Yes, you GOT it, it is exactly that! Ah ! Stamp of approval from a New Yorker :-) Thank you Rickie ! "For New York City is a way of life. It’s an experience. You need to live it, explore it, let the spirit of the place seep into you, feel its pulsating, vibrant heart." Because that is exactly what the city is; probably the main reason why I love going back to it again and again and again. In many ways that vibrant spirit reminded me of Mumbai and when I visited NYC I understood why they are called sister cities. Thank you Seeta. Yes its more about people and ambiance rather than the physical and geographical aspect ! Thanks Afshan. You must must visit ! You made me recall two wonderful visits I made to NYC! The city is indeed an experience in itself. There was a time I could have even lived in a city like NYC, but perhaps not now :) But still will always cherish the few days I spent there, especially when I visited and explored the city by myself! Very true, Beloo. The city is an experience in itself. Thanks for reading. I agree with you. I would prefer NYC in my 20s . but I think I like my peace and quiet now ! New York can be posh, pedestrian, loud, arty, garish, sophisticated - it can be everything you want it to be. Just as i was thinking, damn, why didn't she walk around the city, came your lines about how the city is meant to be discovered. You said it so well .. posh to pedestrian . NYC can be whatever you want it to be. I really believe that a city is best discovered by walking its neighborhoods ! Thank you so much Nabanita. Your comment has made my day. Loved this post! New York seems to be a distant cousin of London. As I picture New York through your post , there are a hundred similarities except that London has its signature Black Cabs. I hope to see this city of dreams some day. There are some cities which have a soul and New Your surely seems to be one of those. So glad you experienced it as a traveler and not just as a tourist. New York and London as cities are actually very very different from each other. The only thing they share is the rich culture and theater scene ! But I have a feeling you would love NYC too ! Explored NYC and Washington DC on foot and loved the experience. In my opinion,places explored on foot remain etched in your memory...Fantastic post Ruch! Am glad I read your post on time as we might head towards New york. This sure is going to come handy though got a nice glimpse of the place through your lens.Wonderful!! What a lovely narration of a city you visited... it resonates so much with the way i discovered hong kong...on foot and by publuc transport..one neighborhood at a day! !